Springtime is here and it’s time to open the windows and clear the mustiness of winter. For landlords, it’s time not only for vital spring maintenance, but it’s important to tend to the external landscaping of the property. For tenants, now is an excellent time to deep-clean your space, change HVAC filters, and ensure you are completing any necessary tenant maintenance. While it’s important to complete the full checklist for vital spring maintenance, the transition to spring weather creates the optimal opportunity for cleaning of the exterior of the property. Make certain that the gutters are cleared of materials that fall and winter weather may have brought debris to. Leaves, small sticks or branches, and organic material can accumulate in the gutters due to autumn and winter storms. Make certain that your gutters are fully cleaned to prepare for spring showers. Furthermore, protect your building’s exterior with a good power wash to eliminate any gathered grime from winter. Maintaining curb appeal is an important aspect to protecting your investment’s worth, there’s no better time than spring to guarantee your tenants and prospective tenants will adore the landscape. Get out your rakes and pruning tools and get down to business–and for added flair add a few new spring blooms to the mix. While one of the benefits in renting lies with having to deal with fewer maintenance tasks, renters are not off the hook completely. Seasonal changes serve as an excellent marker indicating that it’s time to change your HVAC filters and complete other recurring renter responsibilities. Daily Tasks: Before the deep cleaning can begin, start with the daily tasks to set the stage. Tidy any personal items throughout your space, vacuum carpets, and sweep kitchen and bathroom floors. Dust: Work from the top down, starting at the ceiling taking pains to clean hard to reach spots that may be missed in the day-to-day cleaning tasks. Use an extendable duster to tackle any cobwebs or dust on ceiling fan blades and any crown molding. Clean Walls: Scuffs caused by furniture, children, or general use should be tackled with every deep clean. If a sponge and clear soap (avoid any dyed soap that could cause staining to light-colored walls) with a small amount of water doesn’t do the trick, using a product like the magic eraser should remove most scuff marks. Wash Window Screens & Sill: You may clean your window glass until it sparkles, but often the screen and sill get left out. Vacuum Low-traffic Areas: While ideally, you will be vacuuming low-traffic areas regularly, places like under furniture, the floors of closets, and other hard to reach spots are excellent candidates for spring cleaning. Move out furniture and items from closets to ensure that every area in your house is free from accumulating dust and allergens. Clean Carpets: To truly ensure you get your security deposit back, a good carpet cleaning once or so a year is a great way to maintain the cleanliness of your space, and keep it as clean as the day you moved in. Borrow or purchase a carpet cleaner (you can find consumer level versions for the same cost as an average vacuum) and do the task yourself, or confer with your landlord and offer to pay part of the cost of hiring a professional service. Either way, a clean carpet will ensure that your space stays fresh and will eliminate many household allergens. 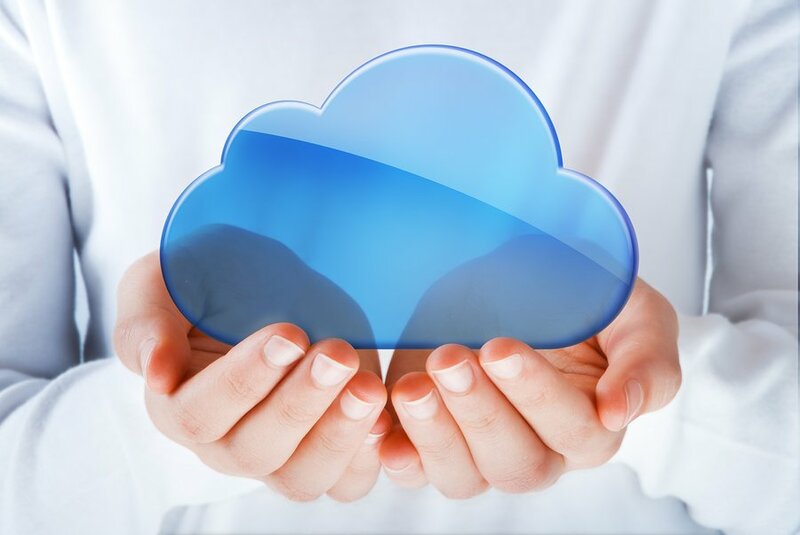 In the end, both landlords and tenants are responsible for maintaining the property. 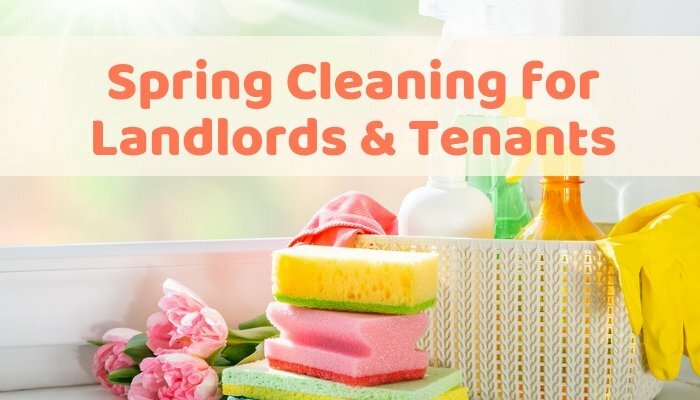 Tenants who fail to regularly clean and maintain their abode during tenancy can face a dwindling return on their security deposit should anything be damaged due to neglect. 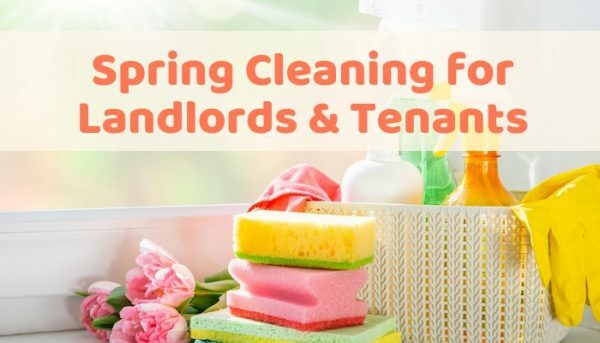 Landlords should strive to remind their renters of important cleaning and maintenance duties to protect the property and set tenants up for success. This is an interesting idea; Signaling the tenant that it’s spring cleaning time…the landlord will do his part with exterior maintenance cleaning out gutters, sealing access from rodents, etc…and reminding tenants it goes both ways with the tenants maintaining the property just as well from carpet cleaning, deep cleaning, keeping a clean household etc. Good ideas.